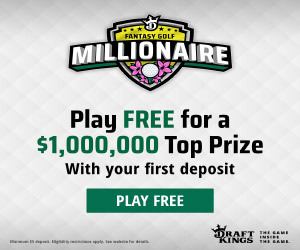 One crucial fantasy golf strategy that everyone focuses on is finding that one or two top sleeper picks that will complete your salary cap lineup when playing at various weekly fantasy golf sites. They are so important that it is almost impossible to win a huge GPP tournament without a guy that nobody saw coming. He doesn't have to win but a Top 5 finish could mean the difference of thousands of dollars in prize money. Unfortunately this is easier said than done and that's why we have put together this Golf Sleeper pick advice column to help improve your ability to spot these guys out from the field. Most DFS sites at this point are pretty sharp with their salary cap pricing. That being said from time to time you will see a player that is vastly underpriced and therefore offers great value. Sometimes, players pull out with injuries or miss a few tournaments in a row and the sites will lower his salary because their is no recent play to price off of. When Tiger Woods came back in late 2017, he was very cheap because no one had any idea how he would play, well he finished T9 at the Hero Challenge and got you huge points for such a cheap salary. 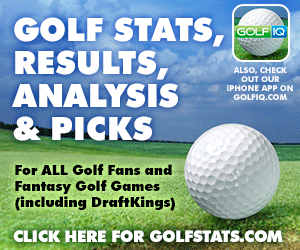 The people that set the salaries for daily fantasy golf sites have their own series of statistics and algorithms that create the values that you see when you create your lineup. Well the sharps in Vegas also have their own criteria for valuing players and they are a good reference to look at as they have been setting odds far longer then DFS sites have been setting salaries. If you see a an unknown guy or "sleeper" at some decent odds, yet his salary is super low for fantasy that is a clue that Vegas may expect a little more from him this tournament. When in doubt, lean towards the odds makers. Some top golfers can’t play well at certain courses and there are some mediocre golfers that look like champions on others. Look over the course history and see if any players are low priced in comparison to their history on that particular course. Too much work? You are in luck, sign-up to our newsletter to get Course History cheat sheets for every tournament. PGA Tour golfers can sometimes go on stretches where they can do no wrong. Birdies seems to fall at will, drives roll further and greens look like cities to hit. It’s not unusual that a golfer scores a couple of top 25s in a row, and then still continues this streak for another 2-3 weeks. That golfer may not even be a big name he's just into form at the moment and that's when you ride his wave. They don't even have to win to get you value, a couple of Top 15 finishes and you are laughing. Picking a winner is great and when you make your lineup you should be focusing on at least 2 players you truly believe will win it all. However, the whole point of finding a fantasy golf sleeper isn’t necessarily for that guy to win, but to score you a lot of points at low ownership. To do that, you need to focus on guys that will make the cut. There are some golfers that may never win on the PGA Tour, but they are always ranked high in the official world golf rankings because they always make cuts and finish with a hefty paycheck. After 30 or so tournaments, those checks add up to a pretty good season on tour. Find the golfers that grind out a good living, they will most likely be at the bottom or mid-range of the salary cap price list.